I’m normally a lipstick fan but when I find a lipgloss I love I end up buying three or four! This Benefit lipgloss in Coralista is one gloss I gravitate towards when I don’t go the full shebang on my face. 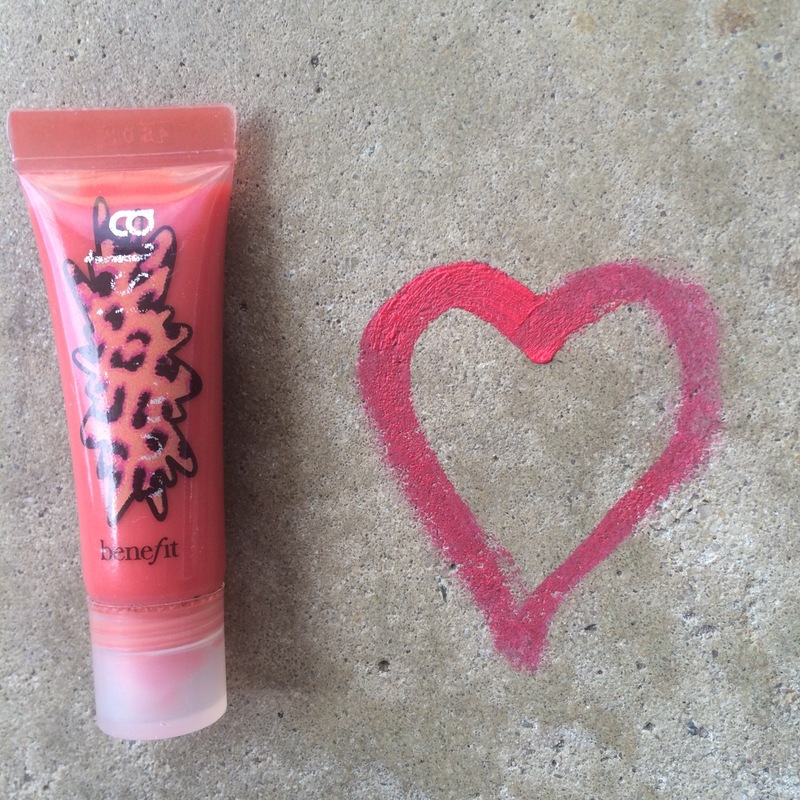 The gloss is a lovely bright orange pink with a slight shimmer, leaving your lips luxe and smooth post application. The product smells amazing, almost like lollies, good enough to eat. I really dislike lipglosses that smell too over the top fake, but this gloss is an inbetweener. It is subtle but so yummy. I also love Benefit’s packaging, and the gloss is small enough to fit in even the tiniest of bags. This gloss is perfect for the Summer season as it is statement enough on its own or slick it over a bright lipstick for something magical! Note: see how the packaging is so tarnished, proves I use it all the time! Hahaha! This is one season I find myself wearing a lot of make up (Christmas parties, NYE celebrations, end of year gatherings) and to avoid nasty pimples I love giving my face a bit of a pamper with a great facial scrub. 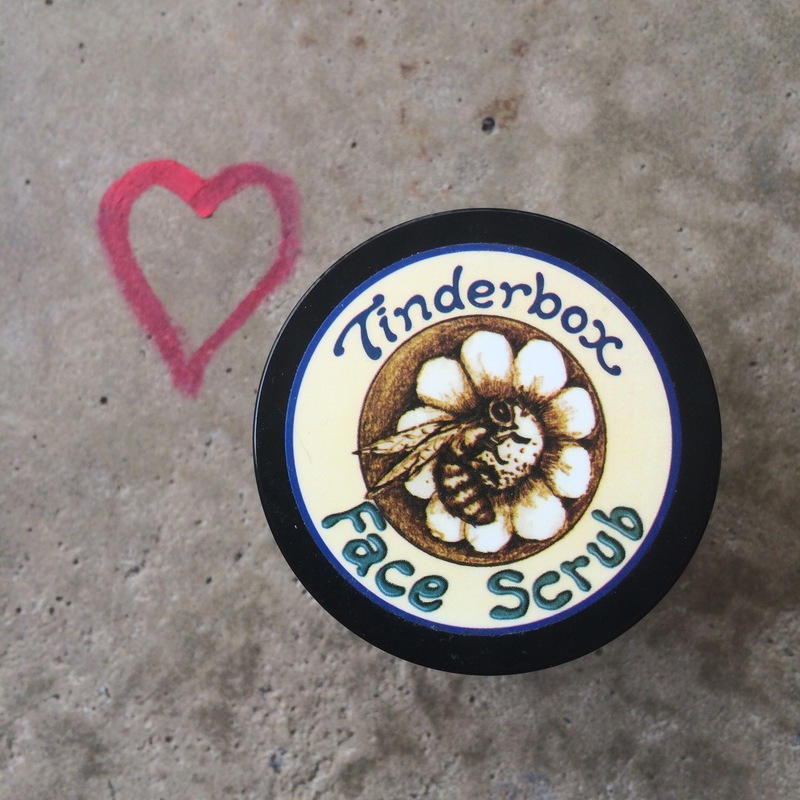 The Tinder Box is a local Balingup business focused on natural beauty and home wares, including amazing essential oils and creams, but when I saw they had their own exfoliant cleanser I knew it was mine. Made in small batches and packed with all of the goodies including cinnamon and honey, this product smells good enough to eat. The product is perfect to buff away dead skin cells and unclog pores and you know you’re not harming your skin in any way as it is all natural! If you don’t have time to get to your favourite salon over the Summer period this product is for you! An eyebrow tint and filler in a bottle, a simple swipe over your brows creates a beautiful shape and colour. The fibers of the product actually attach onto your brow hairs, creating natural volume and tone. I’ve been burning through this product since I picked it up a couple of months back as it is perfect for waking up your face on early mornings. 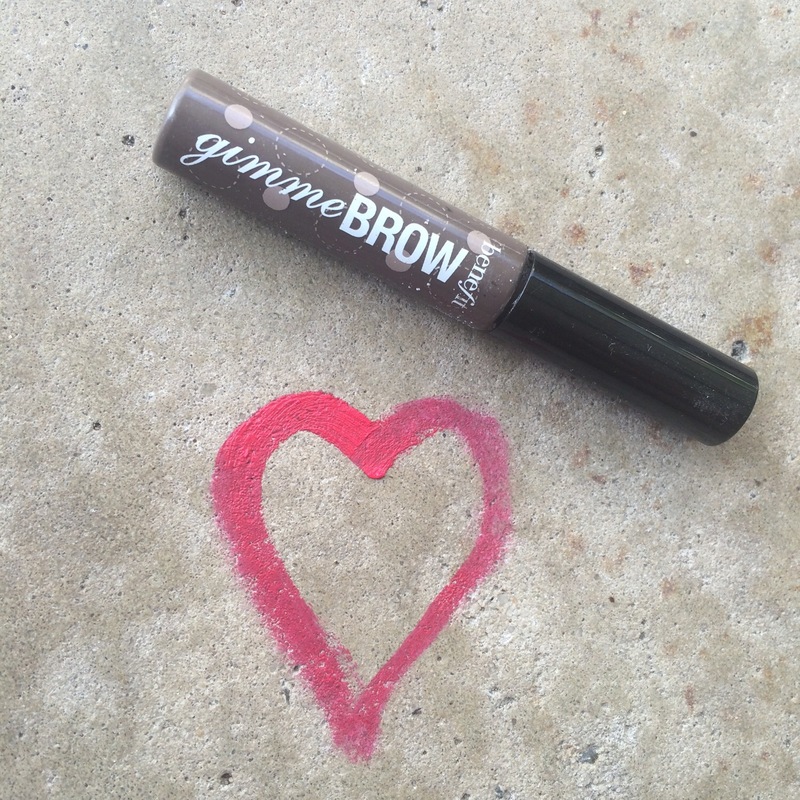 And don’t worry, it’s perfect for beginners in the art of brows – no angry eye brows after using this one! The Summer season means a lot of late nights and early rising so an all natural eye cream is perfect for soothing your tired eyes. I’m obsessed with this one by natural beauty company Dr Organic. The process is simple – rub a small amount of the product into your under eye area before bed and wake up feeling fresh! The product is said to slowly reduce eye bag visibility and I’m keen to find out if this is true. I’ll keep you posted. But for now I’m just happy waking up and being able to open my eyes without them feeling puffy and sore! 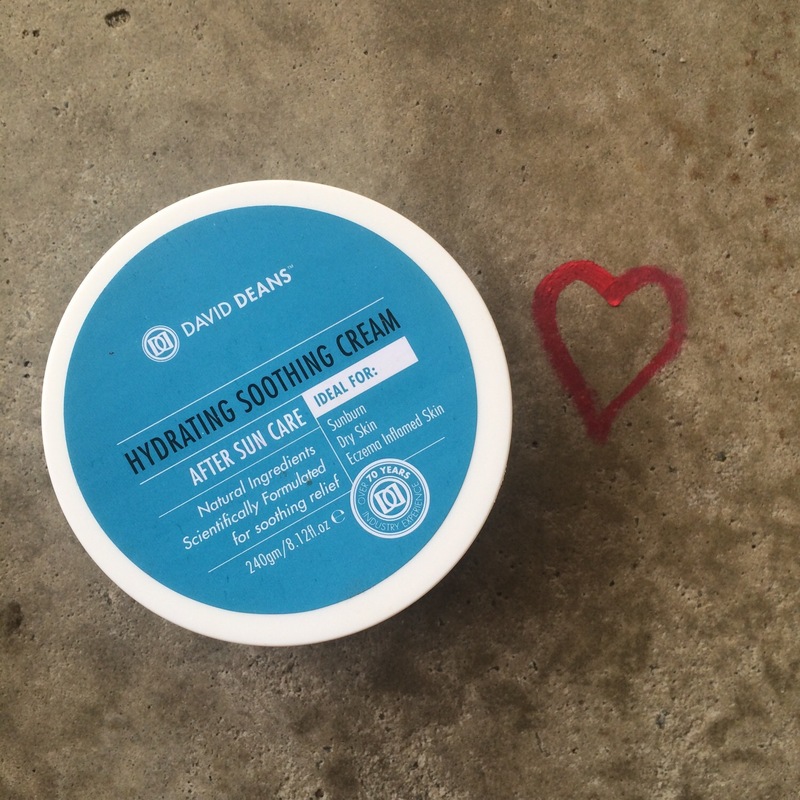 It is super hydrating and optimises skin elasticity, which is always a plus as the years go by. And it smells divine! 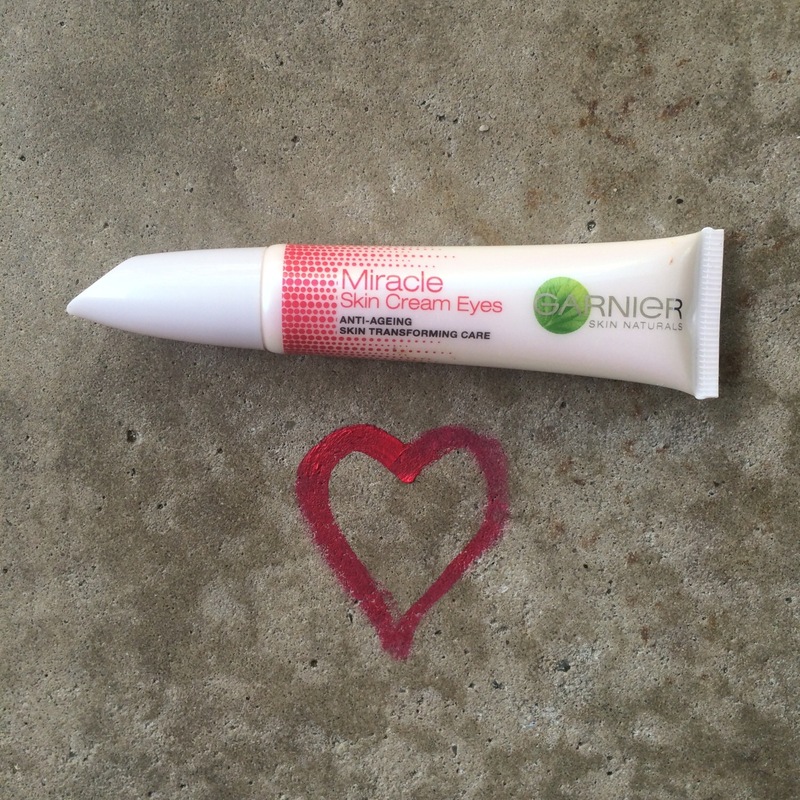 If your eyes need a little more help over the Summer season and you’re prone to rocking a dark circle Garnier Miracle Cream is perfect for covering those unwanted bags. Designed for the sensative eye area, all you do is dab the product into the dark areas. Like Garnier’s original Miracle Cream the product takes to the colour of your skin, blurring to suit your tone. This product is a god send, and pairs well with the original Miracle Cream or your regular daily make up. If you are in need of a bold, over the top lip look guaranteed to stay on your lips for the good part of a busy day you have to try Australis Velour Lips. 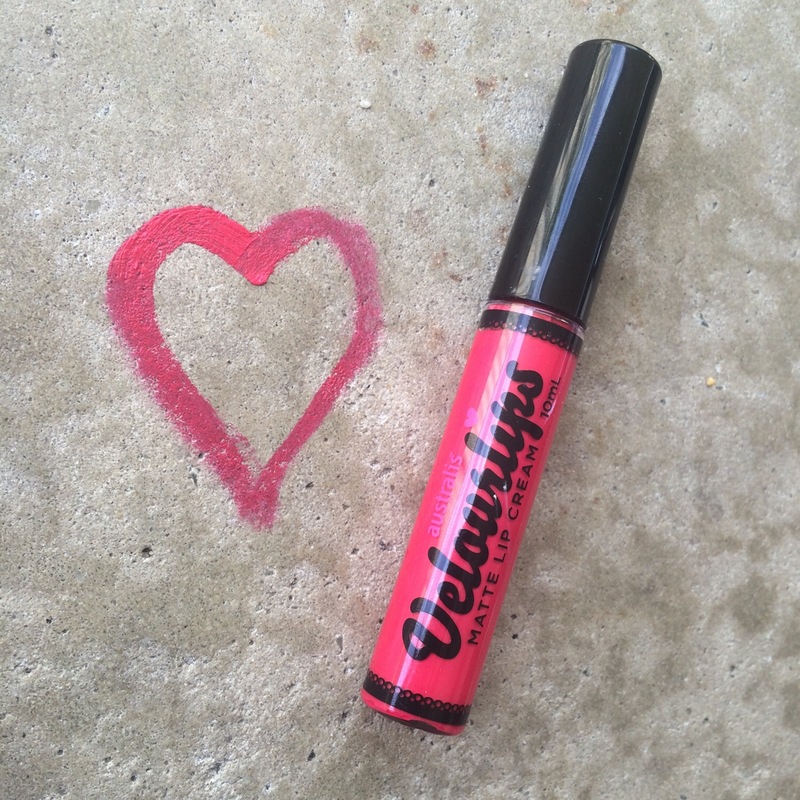 It’s a lip stain that goes on wet but drys into a brilliant matte look lipstick, and it lasts forever. Last time I wore mine out I applied it before I left home, consumed at least six champagnes and ate some tapas and it was still perfect! It comes in every colour so if you’re in need of a long lasting, fuss free lipstick I would highly recommend this product! I’m loving the highly pigmented Bar-Tha-Lona – it’s bold and sassy, perfect for the Summer months. A new range has just been released too, with a black velour shade suitably titled Mel-Burn, haha. I don’t know about you, but I go through copious amounts of moisturiser in Summer. My skin is naturally drier than your average joe, but Summer takes it out of me. Enter David Deans. I actually won this product in an online competition and was so surprised when it showed up on my doorstep! I’d never heard of the brand but fate brought us together, because this lotion was made for my skin. Low irritant, harsh scent free and thick enough for those areas like your legs and elbows, the product absorbs quickly, leaving your skin feeling soft and supple. Plus it is designed for those with skin issues (like me) so I know I’m not going to react. It’s also perfect for eczema suffers and relieving sunburn so it’s worth the mid range price you’re paying. I highly recommend this product! And thanks to Jo at Lifestyle 50 for introducing me to it. So there you have it, my current beauty favourites. I’d love to hear what you’re using and abusing this Summer. What else do I need to add to my beauty bag? Help a non beauty blogger out! 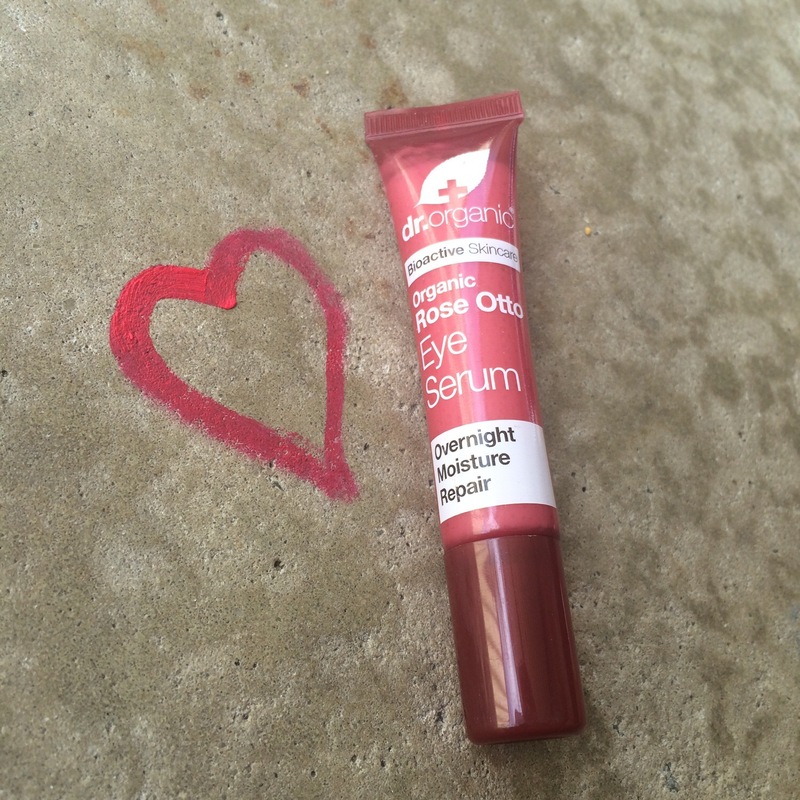 What is your number one beauty or skin care product this season? Like the sound of the Australis lippy that goes on wet and dry’s out and LASTS. Also, Tinderbox products really are fabulous. I highly recommend their cough mixture. Love Tinderbox! No nasties too! Long-time fan of Velourlips here! Got to have a look at that Garnier eye cream next time I’m in PrizzleLizzle too. prizzlelizzle bahahahaah! Never heard that one before! Oh yeah, I izzle / azzle everything!! Anything to rid my bags hahahahaha!!!! Hope you like! Oooh thanks for the tip Bev!